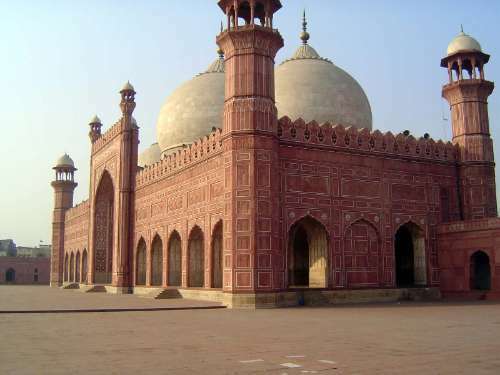 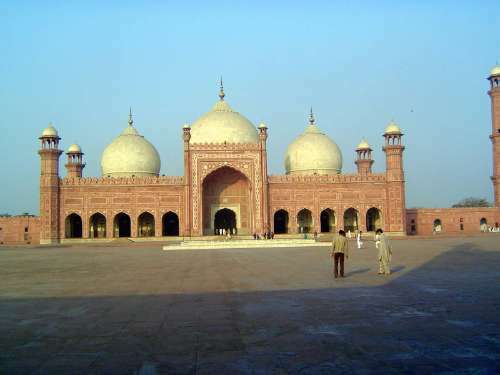 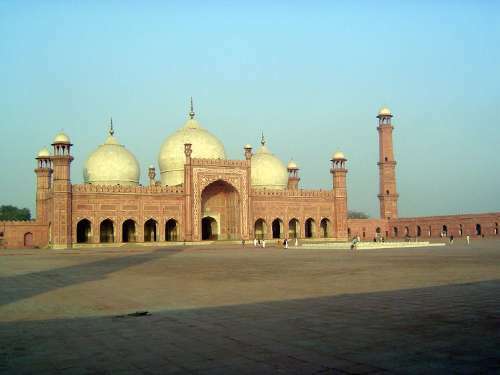 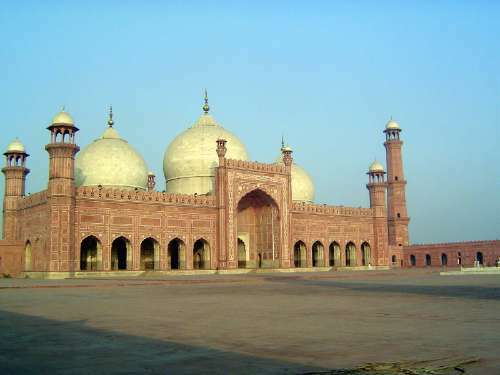 The Badshahi or King's Mosque at Lahore was built by Aurangzeb and ranks as South Asia's largest mosque, with room for 60,000. 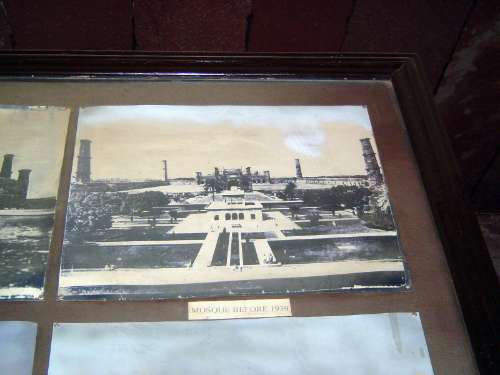 A historic photo of the baradari and mosque behind it. 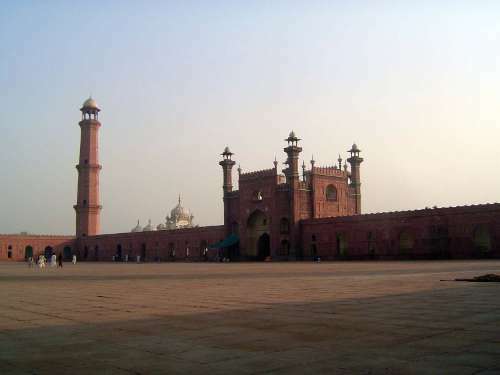 The tops of the minarets had been removed after they were damaged by an earthquake in 1840. 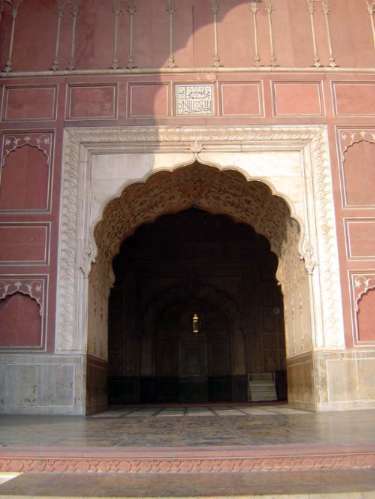 The marble tablet over the entrance contains the kalima or Muslim creed, then continues: "The mosque of the victorious and valiant king Muhyuddin Muhammad [Aurangzeb] Alamgir. 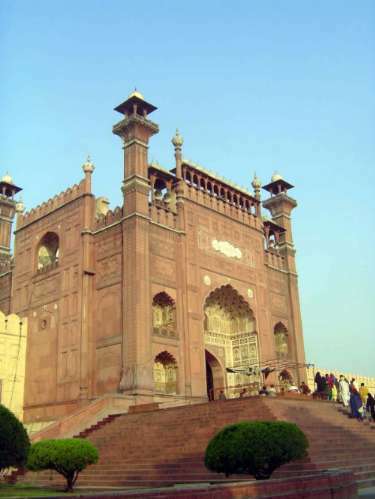 Constructed and completed under the superintendence of the humblest servant of the royal household, Fidai Khan, Koka, A.H. 1084 [A.D. 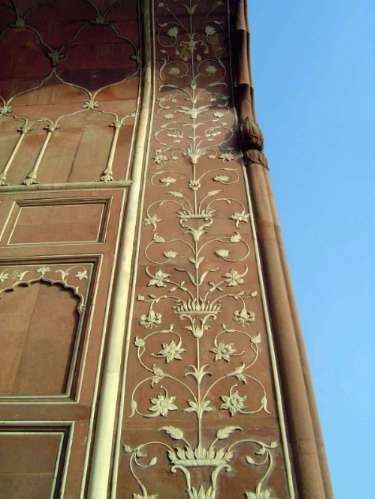 1674]." 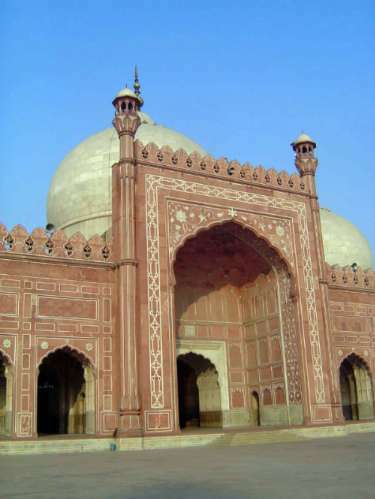 This mosque, like those in Delhi, Agra, and Fatehpur Sikri, is open to the sky. 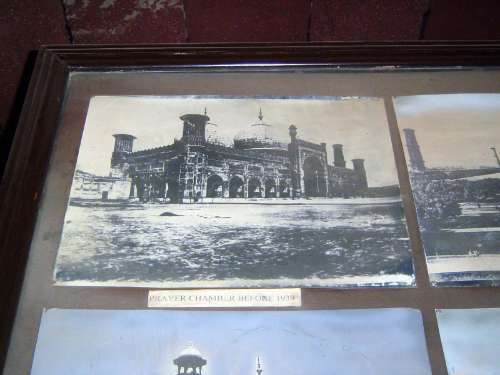 A historic photograph of the prayer hall before restoration. 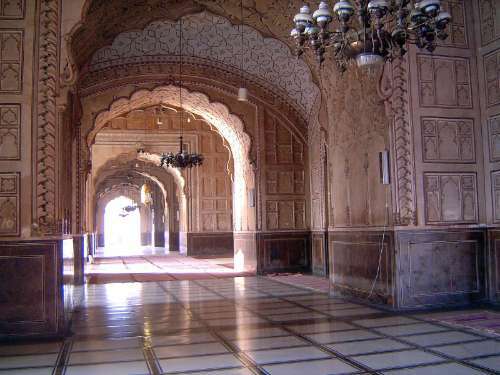 The prayer hall, like most in India but unlike those of cooler climates, has only a single aisle. 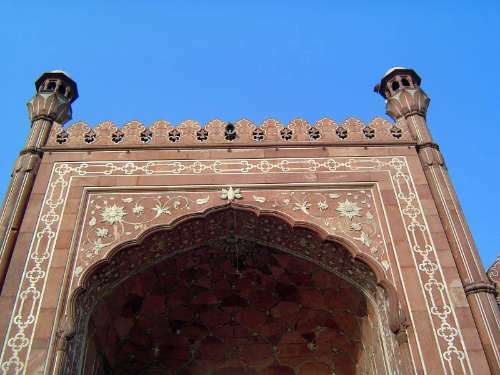 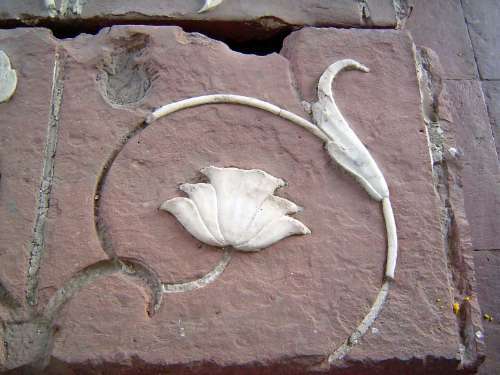 Engrailed marble arches in a wall of minimally decorated sandstone panels. 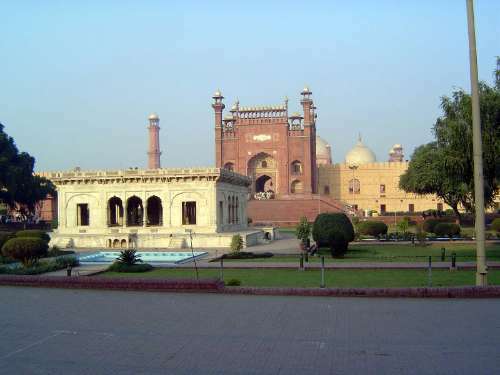 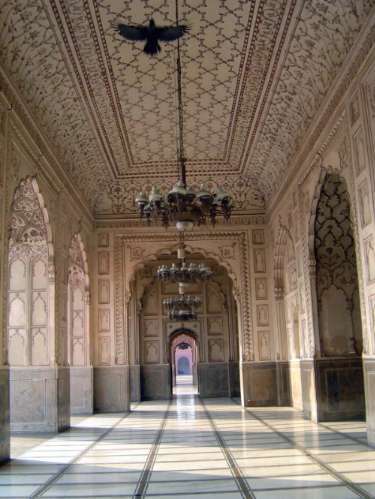 Compare it with Wazir Khan's mosque, also in Lahore. 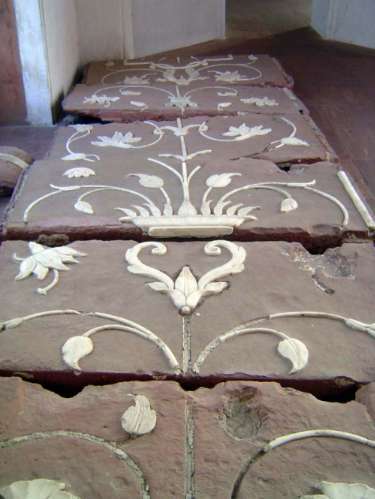 There, comparable panels were filled with brightly colored mosaic. 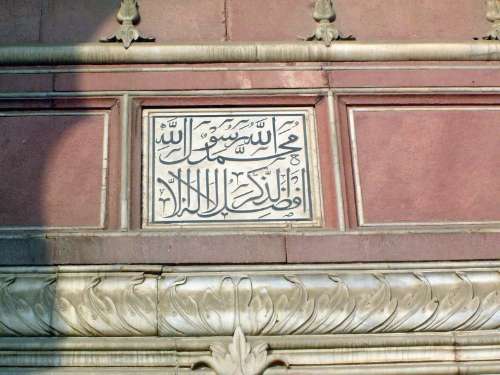 "The best words to remember are No God but Allah and Mohamed is the prophet of Allah." 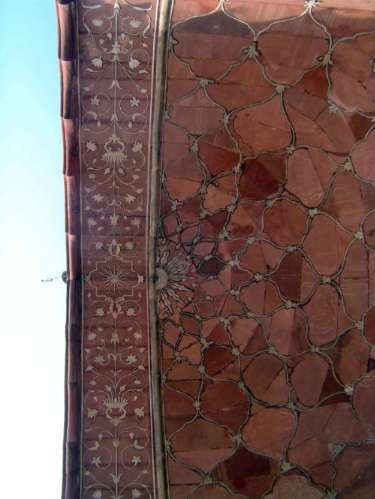 Maybe those close-ups suggest the rough texture of the building's outer surface. 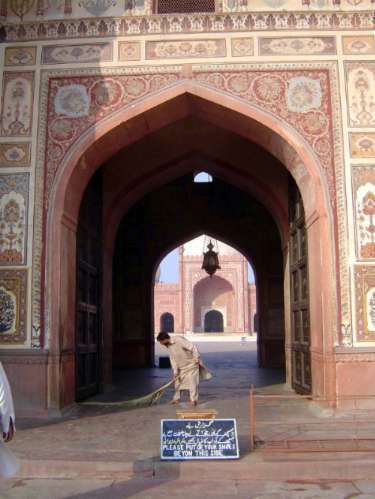 The iwan or entrance arch. 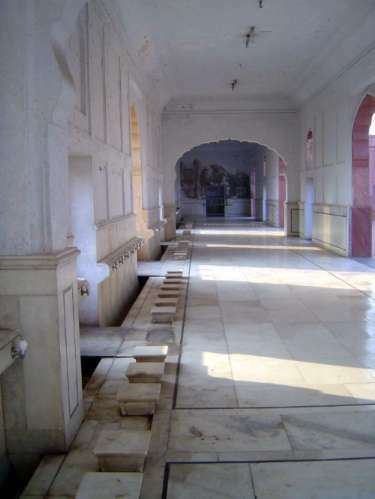 The hall and courtyard again.